This was one of the most extraordinary scenes that I saw in my journeys. Indeed, the mystery of nature has never failed to amaze me. Since May had brought lovely warm days to Europe, many male pigeons had come out to seek summer love. Next to the fountains, statues, bridges and railways, these gentlemen, in spite of frequent failures, were busy performing their best verses and dances to charm the ladies. Though these ball-like creatures are a regular sight throughout Europe, they never failed to catch my attention and interest in toying with them. The easiest way is to chase after them and to see their escaping feet moving rapidly. There is a hidden rule, however, for playing with pigeons – that is, not to disturb them when they are wounded. Even the naughtiest kid in Europe seems to understand this simple humanitarian principle. 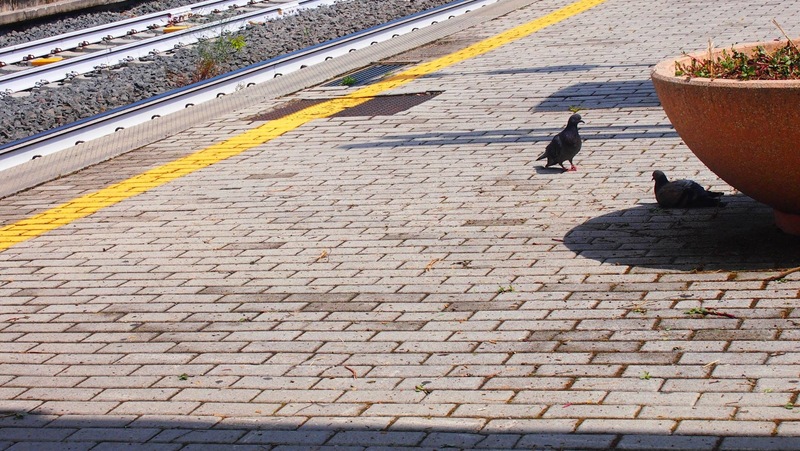 When I was in Rome, waiting for the train to Florence, there were two crippled pigeons drawing invisible circles around my legs. Looking at (or smelling) the hot dogs in my hands, the two pigeons waited for something to happen. Tick-Tock, Tick-Tock. The four little glass eyes finally defeated my father’s heart, and earned the soft bread from his hands. After their tummies were satisfied, I thought they would leave immediately – but they stayed. Strangely enough, they stayed together. When one was lying on the ground, the other one rotated around it like an anxious bodyguard. Before I got on the train, I saw the loyal husband drive away an expanded male pigeon from his crippled lady. As the couple flew away from us, the train also departed from the station. In Hong Kong, pigeons have become a symbol of disease and mysterious fear, even feeding them has become a damnable crime. Growing up in a place that only glorifies roasted pigeons, I wonder – will such simple and instinctive affection remain extraordinary to me, to us? Or shall we, in the future, become the real men who can learn the discourse of these noble lovers?